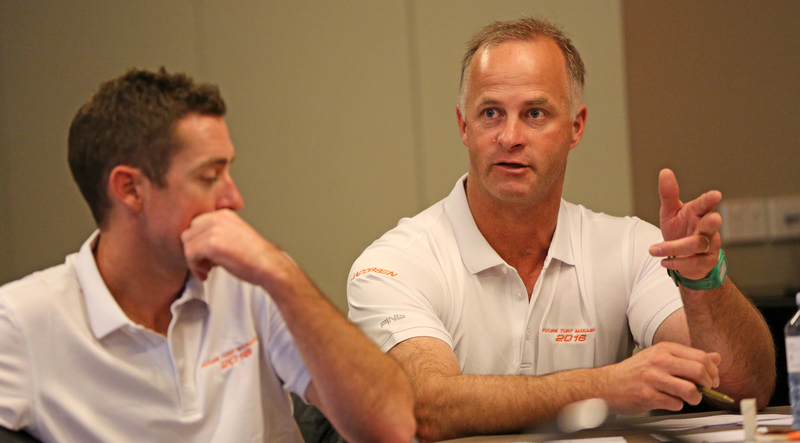 The AGCSA, in conjunction with Jacobsen, held its inaugural Future Turf Managers’ Initiative at the 32nd Australian Turfgrass Conference and Trade Exhibition at The Crown Entertainment Complex in Melbourne. This two-day educational event is aimed at up-and-coming course staff who are focused on making the career leap to Superintendent or Course Manager. Focusing on personal and professional development, the FTMI uses the expertise of respected course managers, cross-industry training specialists and industry experts to mentor and educate the next generation of industry leaders. The first Australian delegates to benefit from this unique education were: Rowan Daymond, Kirsty Herring, Mark Harkness, Jarrod Arps, Tom Hogan, Stuart Campbell, David Hurst, Liam Ash, Nathan Arnett, Stewart MacFarlane, Nick Marino, Justin Crowe and Brock Agnew. 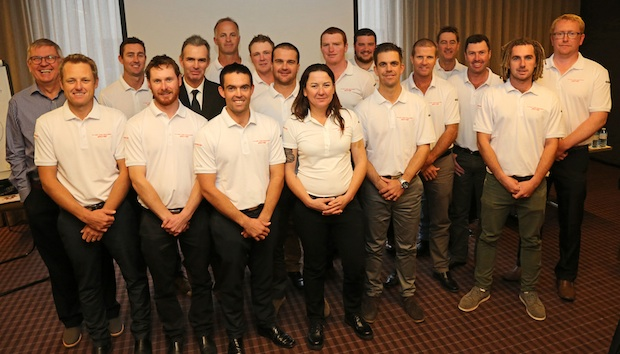 These delegates join a cohort of more than 120 greenkeepers from around the globe, who have graduated from the Future Turf Managers Initiative during the past four years. 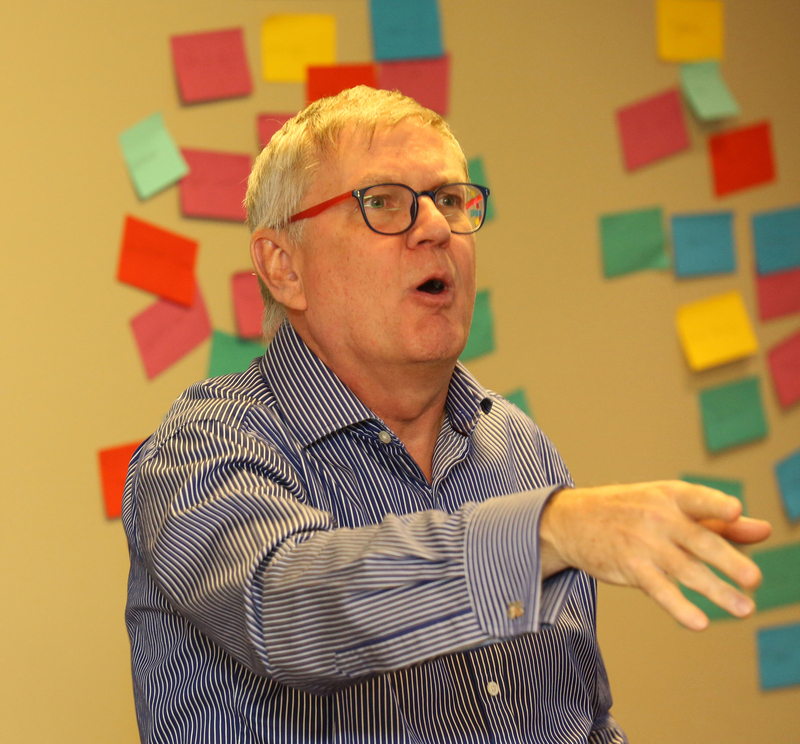 Business motivation consultant David Bancroft-Turner, who was sponsored by Jacobsen to deliver education at the conference, conducted the majority of the training. Bancroft-Turner focused on the delegates identifying their own behavioural preferences, understanding leadership, developing strategies for motivation, conflict resolution and utilising business communication techniques. The AGCSA’s Peter Frewin assisted with a session on writing a resume with Stewart Fenton, General Manager at Huntingdale Golf Club in Victoria and National President of GMA, speaking on the ‘Role in the Clubs bottom line’ which gave an insight into budgets, P&L and benchmarking. The mentors were of the highest calibre and were on hand to support the groups assigned to them. They were Ben Tilley, Superintendent at Headland Golf Club, Qld, Justin Bradbury of Bonnie Doon Golf Club, NSW and Stewart Hewitt at Thirteenth Beach Golf Links, Vic. “What a great experience! It was an intensive couple of days, and we learned so much. David Bancroft-Turner is a great bloke and an excellent presenter. He covered a lot of the people management skills that you don’t get taught elsewhere. The mentors were brilliant; they have so much knowledge of fine turf management and were happy to answer any questions we put to them. I would recommend anyone with ambitions to become a Superintendent to get on this programme next year. It has been invaluable to me and, although very intense, it was good fun.